Seriously, is this the best the financial elite can do? The Money Party is running on fumes. With the UK, Germany, and France supporting Lagarde, a favorable nod from the Obama Administration would assure her the job. 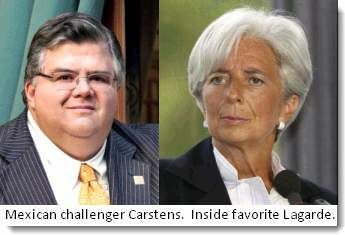 Since its creation in 1945, IMF has had an unbroken string of European managing directors.